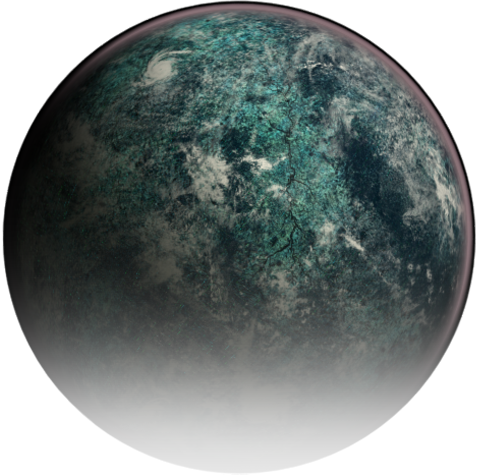 Taris is a post-apocalyptic swamp, abandoned but not forgotten by the greater galaxy for three centuries. 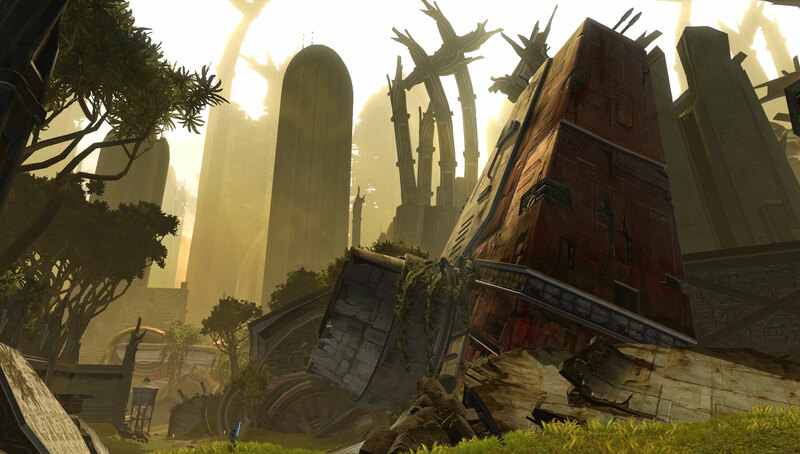 Until recently, only overgrown ruins bore testimony to the thriving civilization that once dominated the surface – a civilization annihilated by the Sith Lord Darth Malak while seeking to eliminate the Jedi Knight Bastila Shan. 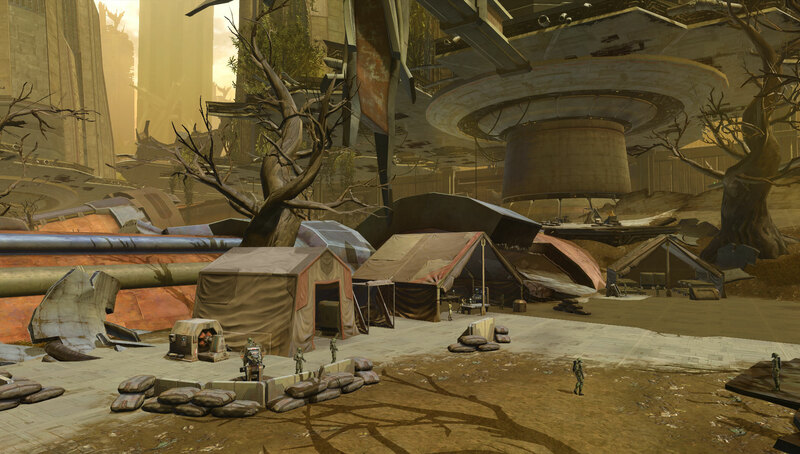 As a symbol of hope and redemption in the face of Sith atrocities, the Republic has begun an unlikely effort to re-colonize Taris, establishing a spaceport, military base and the beginning of settlements amid the ruins. The remnants of the once great city-world have proven to be far more treacherous than anyone expected, though, and many believe the effort to reclaim Taris is doomed to end in disaster. 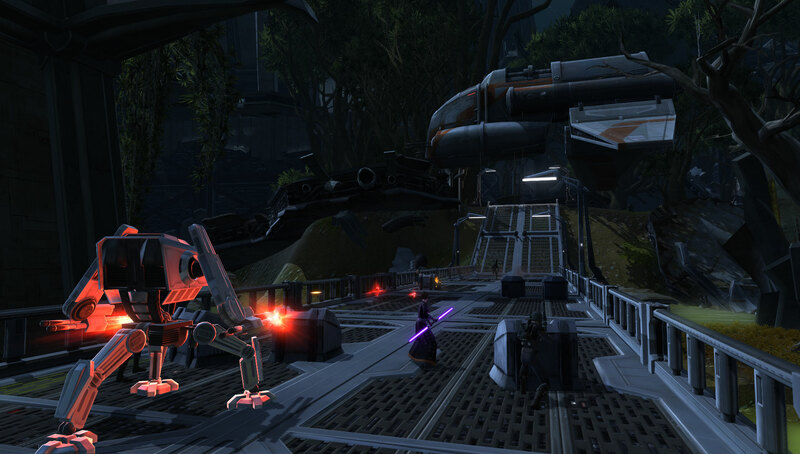 One thing is certain – cleaning up what the Sith destroyed isn’t nearly as perilous as facing what they didn’t. Deep in the dark swampy ruins lies the legacy of a centuries old plague, once confined to Taris’ demolished Undercity. Bands of horrific rakghouls – abominations created by Sith alchemy – ravage the planet’s surface. Each vicious attack carries the chance of transforming the victim into a diseased monstrosity. There are scattered reports that some of these rakghouls are evolving bizarre, freakish powers. Determined to overcome the challenges, Republic and Jedi leaders are moving forward with the efforts at colonization. Rebuilding what the Sith destroyed 300 years ago would be a monumental symbolic victory, showing the galaxy that the Sith are not to be feared. But the Empire has no intention of allowing such a significant achievement.